Running a product-based business is quite a feat, especially in the area of inventory management. So, what exactly is inventory management? This involves constant monitoring of your inventory to match the demands of customers who are interested in buying your products. 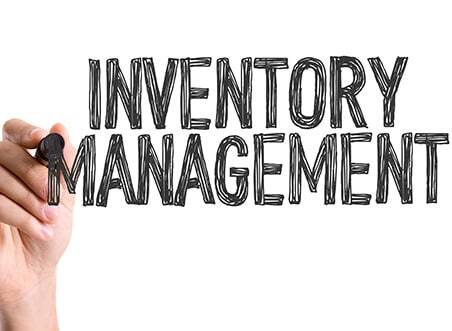 If taken lightly, inventory management can become pretty overwhelming. You should aim to learn the ins and outs of inventory management to successfully develop this fundamental part of an online business. Inventory management deals with how you handle the supply and demand of your items to make sure you keep just enough stock to be able to provide for your customers. It’s also essential that you do not overstock your items as slow sales can create cash flow shortage. When you over-purchase, you are also increasing inventory storage fees. To put it simply, inventory management is knowing what items you have, where the items are, and when more stock is coming. 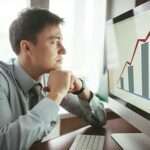 By staying on top of these things, you will be able to keep costs down and ensure that customers’ orders are fulfilled. What is the Importance of Inventory Management? Inventory stock management keeps track of the needs of your business. It is important to note that inventory management does not only involve your items that are up for sale. It also deals with the money required for your business, manpower and company assets. Having an optimized Amazon inventory management system safeguards your business from having too much inventory, while allowing just enough reserve stock to act as a buffer for when your stock becomes lower than expected. Optimizing inventory is a benefit in itself. It is not easy to establish a proper stock management process. If you are an Amazon seller, it is even more essential to effectively manage your inventory. Amazon has strict seller requirements and correct stock numbers will help you maintain good seller status and prevent possible Amazon suspension. As an online seller with a plethora of things to take care of on a daily basis, it’s so easy to find yourself making, otherwise preventable, errors. For example, you may ship incorrect items to your buyers and then have no way to track what items were sent instead. By injecting an effective inventory management system into your business, you’ll be able to monitor all the processes that involve your inventory. With an inventory system in place, you can provide more accurate logistics, track stock counts and minimize human errors. You can limit shipping errors once you have implemented an effective inventory management system. Now you can be more adaptable and flexible when errors, like an incorrect product shipment, occurs. When you’re aware of everything that’s happening with your inventory, it’s much easier to act quickly, track errors and evaluate how it will affect your stock levels and customer satisfaction. It’s not easy to find potential customers who will buy your products. However, once someone has purchased from you once and enjoyed the overall experience, they are more likely to become repeat customers. Acquiring new customers and building loyalty with existing customers will help you realize your dream of making it big while selling online. Analyzing your customers will help you reach that goal much faster. Understanding inventory management will help you stock up on items that meet your customers’ demands. With so many Amazon online businesses to compete with, it is now necessary that you adopt a proper inventory management system for your business. SellerMobile is a great third-party inventory management software that can help you manage your business more efficiently and ramp up your sales with its full suite of tools to guide you. Why Amazon Stranded FBA Inventory?